[updated 15th Nov] There was a lot of "Ding!Dong! The wicked ITIL is dead!" in DevOps and Agile, but finally the DevOps world seems to be rediscovering the value of ITSM knowledge, culture, and capabilities (and vice versa: a visible increase in influence of DevOps on ITSM). This will take you a couple of hours to work through if you watch all the videos, but please do. It's an intensive course in ITSM/DevOps crossover. Google reliability engineering deduced a metric for reliability based on first principles and guess what they came up with: Unplanned Downtime. 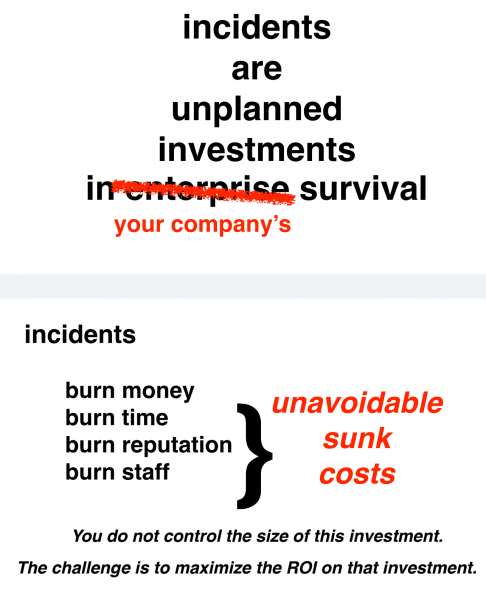 ( Site Reliability Engineering p26). Everybody in ITSM rolls their eyes. Well, duh. A service is more than a product it is a sum of the product and all of the non-product-specific infrastructure to deploy that product such as networks, desktops, browsers, data, facilities, and so on. 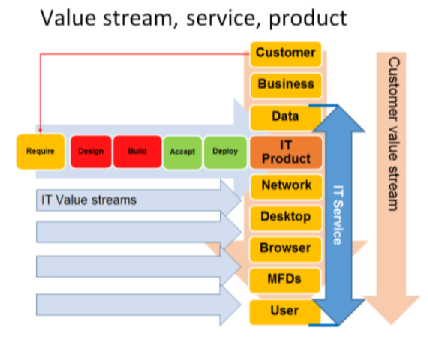 That value stream is orthogonal to the Continuous Delivery value stream. The ITSM world gets it. They understand (or are learning to understand) DevOps. Some still need to have the revelation that I had. People like Gene Kim have consistently defended the need for ITSM in a DevOps world. But the DevOps world hasn't always got it. Organisations like ING Bank championed the crossover, but for so many it seemed Require-to-Deploy is the only IT value stream. Seeing this, I presented "What about Run?" as keynote at the first New Zealand DevOpsDay in March 2013.
and pioneers like Scott Prugh and Erica Morrison at CSG deconstructing support in a DevOps world at DOES17. 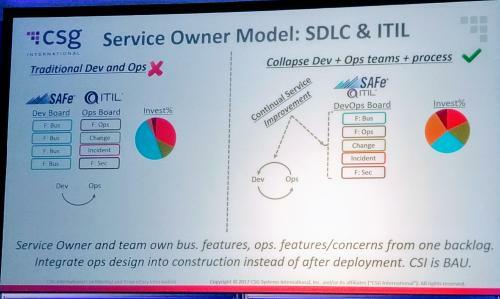 And Sidney Dekker's amazing insights on safety embraced by the DevOps community. launch of VeriSM, which I had a small part in. At last, we are seeing ITSM coming in from the cold. It's important to deploy product faster and better. It's just as important to deliver its value over time. We in the ITSM world can be patronising snobs about it, (I'm doing a bit of that), or we can embrace the opportunity to converge the two communities as my Kamu initiative has long hoped to do, and bring a long-overdue injection of fresh ideas and perspectives.